A mechanic who used to work for a classic car parts specialist reseller has taken legal action against his former employer for unfair dismissal. 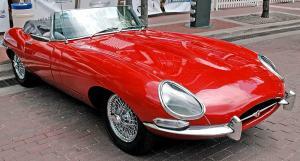 Kevin Reid, previously of award-winning Classic Motor Cars Ltd in Shropshire, was accused of breaching company policy by offering a personal contract for part of a Jaguar E-type. According to Dudley News, Mr Reid has disputed the grounds for him losing his job, claiming that the company did not carry out a full investigation into the matter. As this legal dispute encircles the classic car company, it is an opportune moment to remind similar firms how they can stay on the right side of the law when obtaining their motor trade insurance policy. If you are involved in the dismantling or salvaging of old cars then you will want to speak to expert insurance brokers such as Bollington to get a policy that will cover these specialist services. Furthermore, companies dealing in classic and vintage cars might need additional packages as part of their road risks insurance policy to cover this type of vehicle. Classic Motor Cars Ltd was waiting for a panel for the E-type when Mr Reid took it upon himself to source it through a personal contract with an American source. The mechanic told a Birmingham Employment Tribunal he was simply trying to get the project, which was running two months behind schedule, back on track. Mr Reid was subsequently dismissed for gross misconduct, but he has said the company overreacted. The judge’s decision is still pending.